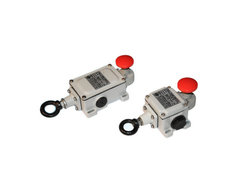 We are a leading Manufacturer of pull cord switch, special pull cord switch and pull cord switch with terminal box from Surat, India. This switch operates when pull the wooden handle then switch will operate and when same rope is pulled the switch will reset. 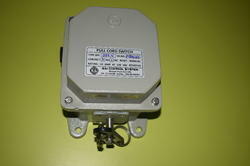 1/2 Pull Cord in one enclosure with 1/2/3 tier lamp indication is available. Contact Combination 1 NO+NC/ 2NO+2NC.